30th Street Station is the center of public transportation in Philadelphia. From here, you can access Amtrak, SEPTA Regional Rail, New Jersey Transit, the Market Frankford Line, and SEPTA trolleys. The grand main concourse is home to Amtrak. There are 10 boarding platforms, and arriving trains are announced over the loudspeaker. 30th is the 3rd busiest Amtrak station (Penn Station in New York and Union Station in Washington are busier), so it sees many trains a day. The majority are along the Northeast Corridor, which also includes Washington, Baltimore, Newark, New York, and Boston. The next stop from Philadelphia going northbound is North Philadelphia (sometimes Trenton), and to the south is Wilmington. Trains also go out to Harrisburg frequently. Most Amtrak trains do not go to the Midwest, they must be boarded in New York, Washington, or Pittsburgh. Tickets for Amtrak trains can be purchased within the station, and can be bought online. It is recommended that you do the latter. Tickets and photo ID must be shown before entering an Amtrak train, and it is also advised you arrive well before departure. All 13 of SEPTA’s Regional Rail lines connect to 30th Street Station, as well as Suburban Station, Jefferson Station, and Temple University. They are boarded north of the main concourse, under a glass and steel set of platforms. There is a large sign connecting the main concourse and this section that shows the timing of trains, and how late they are. From outside the station, 30th Street on the Market Frankford Line can be accessed. Trolley lines are also accessible, which run around the city. Both of these can be boarded at various points throughout Philadelphia. New Jersey Transit’s Atlantic City Line is accessible via the main concourse. This is the only NJ Transit line served in Philadelphia, but SEPTA’s Trenton Line connects to NJ Transit’s Trenton Northeast Corridor Line (not to be confused with the Amtrak line of the same name), which can be taken to New York City. 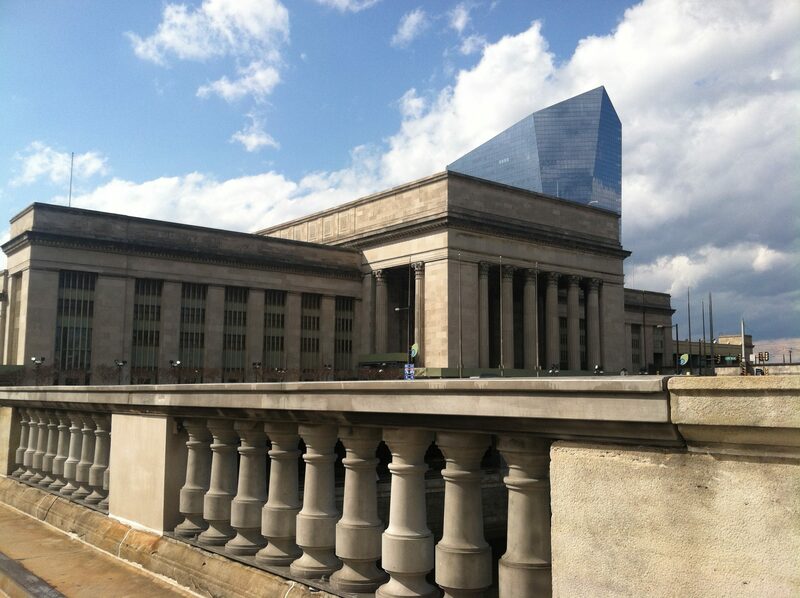 For a guide on 30th Street Station as an attraction, click here.